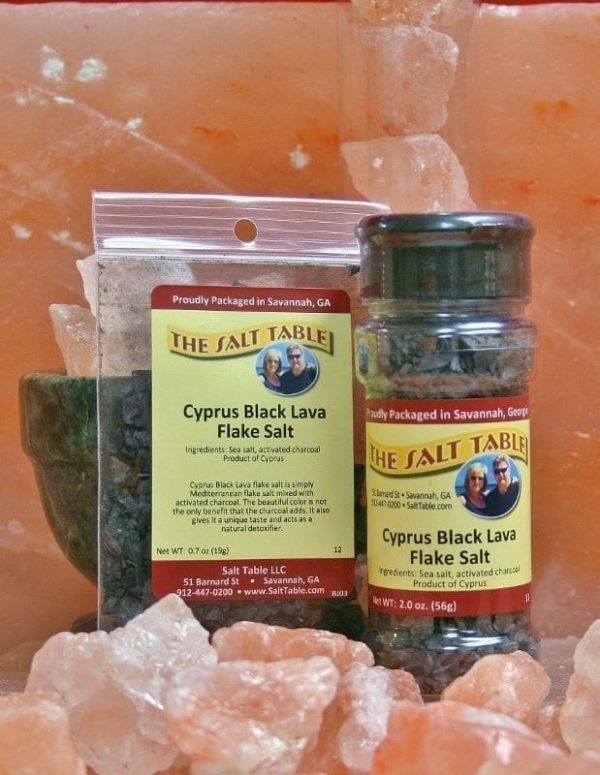 Cyprus Black Lava flake Salt is simply Mediterranean flake Salt mixed with activated charcoal. The beautiful color is not the only benefit that the charcoal adds. It also gives it a unique taste. It also gives it a unique taste and acts a s a natural detoxifier. the dramatic color and texture of this salt make it an ideal finishing salt for table side presentation.